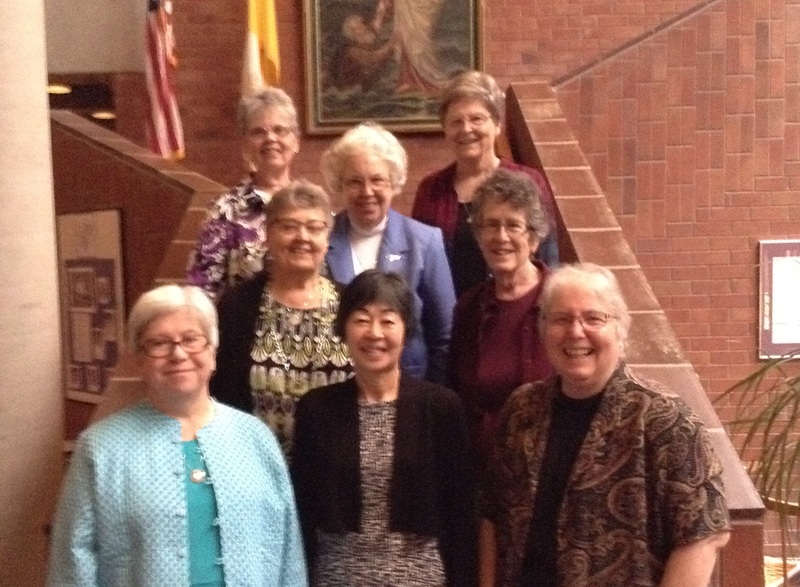 The Diocese of Tucson held a special Mass honoring their Jubilarians for the year, including Mary Ann Rawson, SNJM. 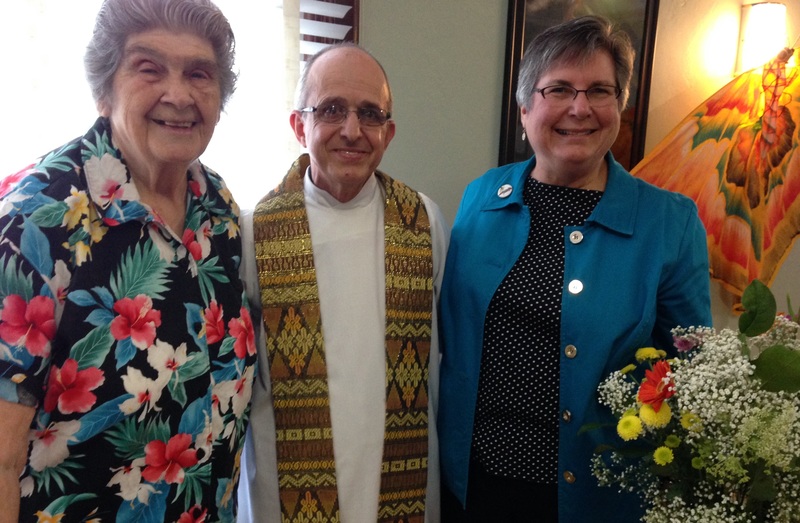 The Southern CA Mission Centre celebrated Elise Hanrahan, SNJM on the occasion of her 60th Jubilee with an inspirational photo-prayer prepared by Jean Morningstar, SNJM and a delicious locally-sourced salad luncheon. 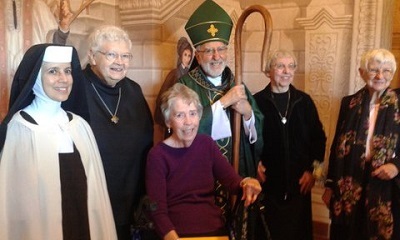 Several hundred Sisters, Associates and friends of the community gathered at St. Mary of the Immaculate Conception Church in Los Gatos, CA on April 2 to honor five Golden Jubilarians of California. 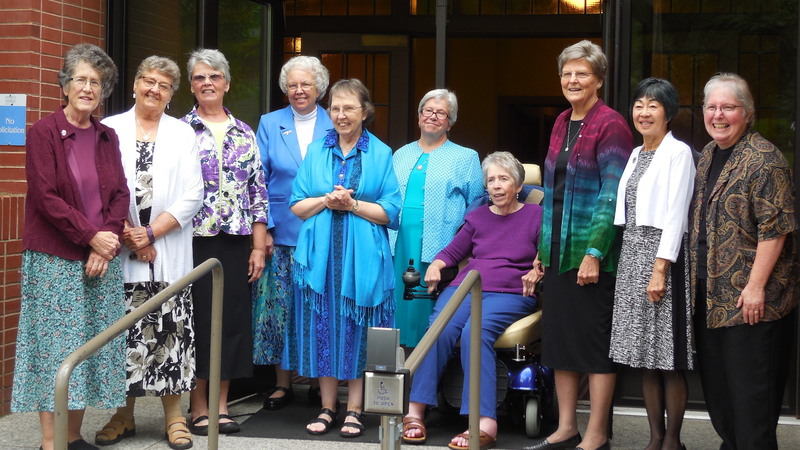 Members of the SNJM community gathered at the Convent of the Holy Names, Spokane for a joyous celebration of the Golden Jubilarians from Washington and Oregon. 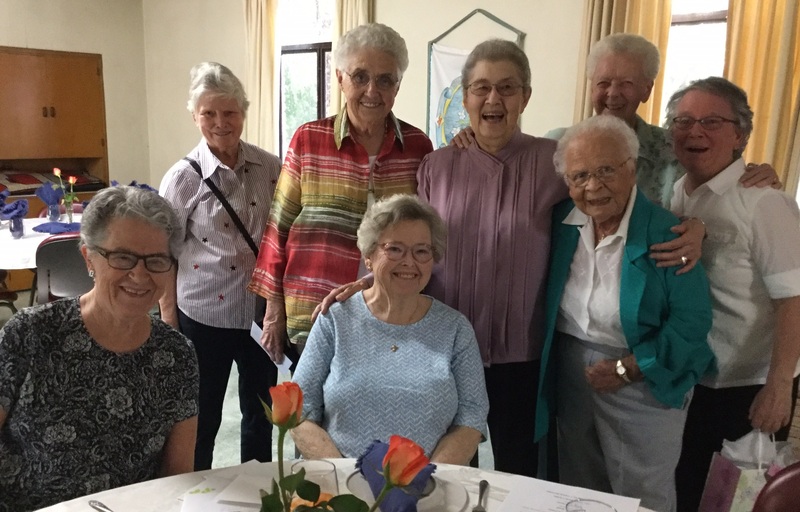 Members of the East Bay Mission Centre came together recently to honor Jubilarians Mary Herbert Raphael, SNJM, who is celebrating 80 years, and Marcia Frideger, SNJM, who is celebrating 50 years. Fr. Salvatore Ragusa, Holy Names University Chaplain, presided over Mass in the Holy Names High School cafeteria. Barbara Cooper, SNJM and Luke Marie Capling, SNJM marked their 60th Jubilee by renewing their vows at a liturgy on June 5. The liturgy was celebrated by Rev. James Daley in the chapel of the Sisters of St. Joseph in Latham, NY, and was followed by brunch at the Hospitality Center. Six California Sisters renewed their vows at St. Mary of the Immaculate Conception Church in Los Gatos, CA on June 4. After Bob Juarez, Associate shared a homily, Ruth Raftery, SNJM, Mary Herbert Raphael, SNJM, Miriam Daniel Fahey, SNJM, Patricia Cronin, SNJM, Marion Mills, SNJM and Kathryn Ondreyco, SNJM renewed their vows. 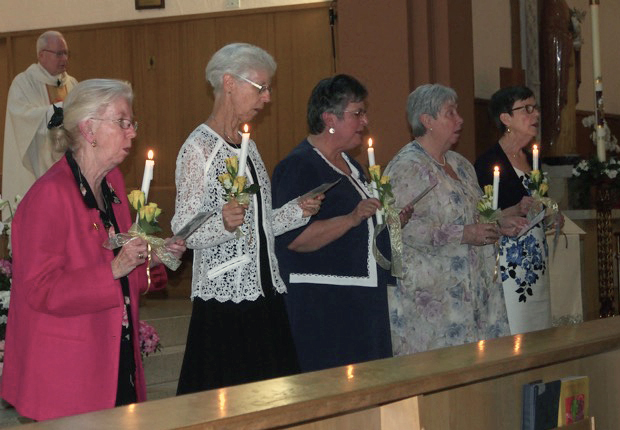 Although Elise Hanrahan, SNJM was unable to attend, the Senior Jubilarians remembered her in their thoughts and prayers. 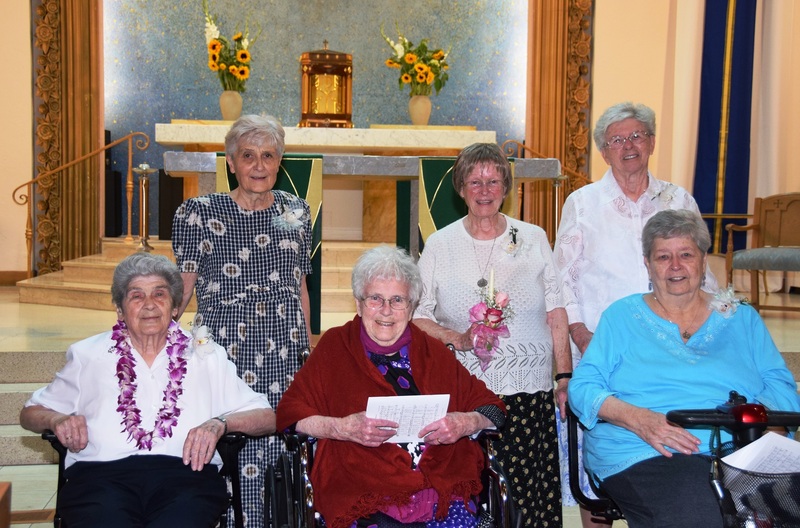 It was a day of joy, gratitude and love as members of the Windsor Mission Centre celebrated six women who have dedicated their lives to God as Sisters of the Holy Names of Jesus and Mary. They chose to have a simple but meaningful celebration at Devonshire, the home of three of the Jubilarians. Fathers Joe Quinn, CSB; Q. Johnson, CSB and Larry Brunet joined for the Eucharistic Liturgy. Lise Jolie, SNJM led the assembly in song with her guitar and was accompanied by Claire Durocher, SNJM on the piano. 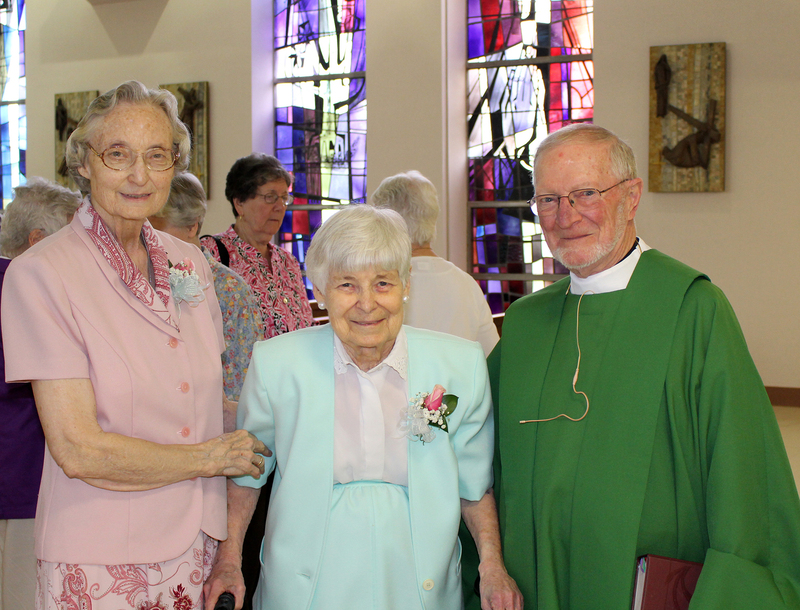 Sisters, Associates, staff, friends and family gathered at the Holy Names Chapel at Mary’s Woods on June 11 to honor the Golden Jubilarians from Oregon and Washington. 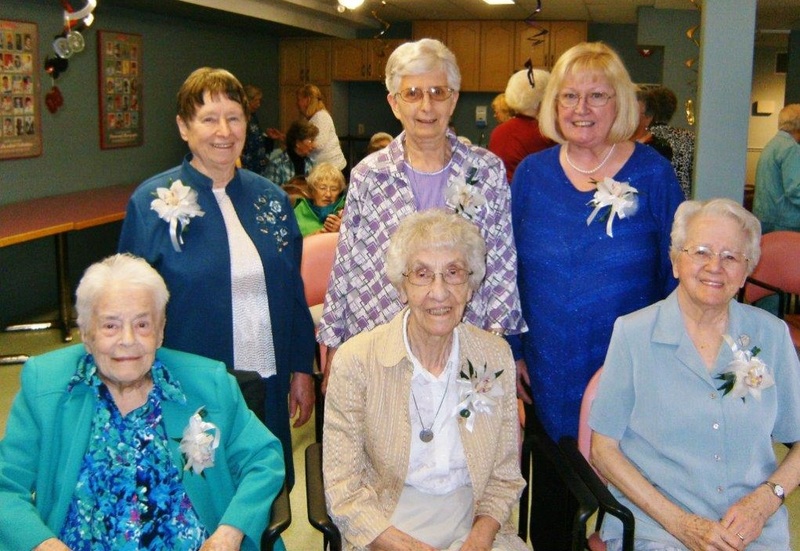 Members of the Spokane Mission Centre came together on June 18 to celebrate their Senior Jubilarians. 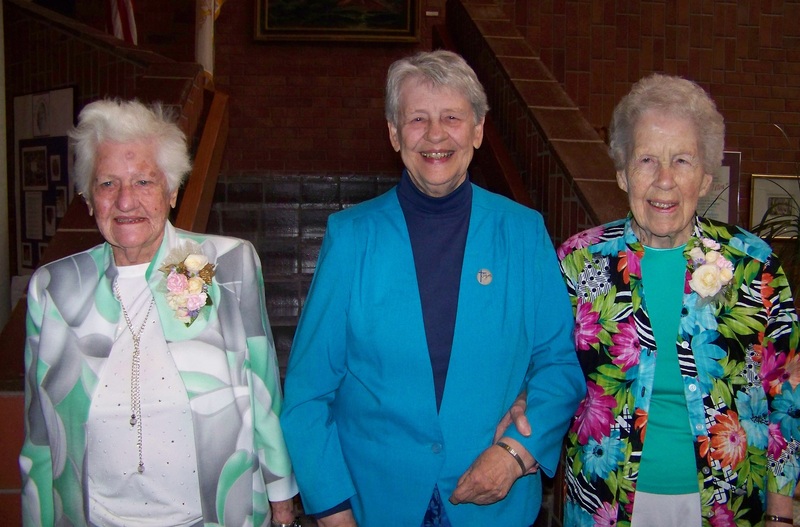 Three Sisters renewed their vows before friends and family at a special Mass, followed by a salad luncheon.